'Halloween (2018)': The Horror News Network Review - Horror News Network - The Horror News You Need! Halloween fans are used to being disappointed. However, after decades of false starts, inconsistency, and mind-bending retcons, our love of the original 1978 masterpiece has remained steadfast and our optimism for an effective follow-up has never been affected by a long line of attempts which never quite hit the high watermark that John Carpenter established with Halloween and arguably maintained with 1981’s Halloween II. Halloween (2018) was supposed to change everything. Directed by David Gordon Green and based on a script by Green and Danny McBride- the duo known for dark and complex non-horror titles such as Eastbound & Down and Vice Principals– the early hype for the film focused on a concerted effort to return to the franchise’s roots, both thematically and narratively. This mission was reinforced by another return of Jamie Lee Curtis as the iconic Laurie Strode, a guest appearance by Nick Castle as The Shape, and John Carpenter’s direct involvement in the franchise by acting as executive producer and providing music for the new film. And then came the trailer- a nearly perfect study in the recreation of the visual and auditory style of the original movie- which resulted in a fever pitch of anticipation for fans who were eager to believe that it was finally happening… he was finally going to come home in style! 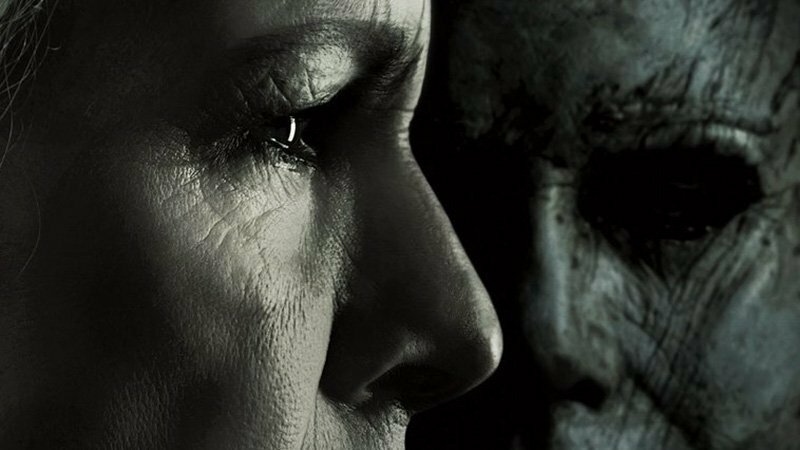 Unfortunately- and it brings me no pleasure to say this- the greatest moments of the film were all featured in that fateful trailer, and the new Halloween movie suffers greatly due to baffling choices with both story and character. There are fleeting moments in the film which will inspire even the most orthodox Halloween fan, but those moments are earned by the legacy of the franchise rather than the merits of the movie itself. John Carpenter’s greatest films revealed him to be more than a master of horror… he is a master of storytelling. His films are lean and determinedly sequenced. Each scene relies on what immediately comes before it and after it to achieve the signature fever pitch of his third acts. Halloween (1978) builds an escalating level of tension with each new scene and its gut punch of a climax is the result of a suspenseful narrative finally letting off some steam after 90 minutes of a slow but determined boil. Forty years later, we’re left with a lackluster beginning, a random ordering of inconsequential scenes in the middle, a fan-service ending. The second act of this film could be rearranged in any arbitrary order and it would have no impact on the overall structure of the movie itself. Time and time again, Michael Myers kills some people and then the scene is deescalated by people standing around and talking about it. Gone are the days of him being the boogeyman who creeps about undetected… each mini sequence highlights the whole town on high alert as he barrels around like a bull in a china shop, and then everything just kind of resets so he can go and do it again on the next block. There’s a ten-minute sequence somewhere in there where Vicky the babysitter (Virginia Gardner) and her boyfriend who just got a tattoo that no teenager would ever request (Miles Robbins) don’t believe the funny but foulmouthed kid she’s supposed to be watching (Jibrail Nantambu), when he says that there’s someone creeping around the house, until it’s too late. The impact of the death of one of the most sympathetic new characters of the film is reduced by the simultaneous scenes excessive comic relief, which is funny at first but overstays its welcome by a long shot. I also couldn’t help but feel like I was watching Halloween (1978) in a vacuum, a fleeting 10-minute YouTube clip meant to capture the essence of the original film while the rest of it struggles to be something else. The movie wants to be funny and scary and culturally relevant, but it goes to so many different places that it ultimately becomes a master of none of these things. In addition to the babysitter vignette, there also happens to be a school dance going on, a bizarre and quickly extinguished plot point involving affluent podcasters who insist on impartially investigating the events of 1978 while making every judgmental statement possible during their limited screen time, and a twist involving a surprise bad guy who thematically comes right out of 1995’s much-maligned Halloween: The Curse of Michael Myers. In fact, so many different things are happening that the audience ends up missing out on some satisfying possibilities, such as a grim fate for Dylan Arnold’s character, Cameron: a jerky boyfriend- who, by all accounts of the fan-favorite tropes of the genre- more than deserves to be on the receiving end of Michael’s knife. But those are the kinds of things that get lost in the shuffle when a movie is juggling so many inconsequential B-stories. The ending is tacked on to this meandering narrative, and it doesn’t exactly feel like a final showdown because all of the events which preceded it don’t exactly lead up to it. The sharp twangs of excitement that moments of the ending generate are due to our investment in the original film and our unwavering love of Jamie Lee Curtis, the original scream queen. The ending’s most powerful images are often pulled directly from the original film, or feature some clever reversal of those scenes, and we react to them as an audience because of our investment in that movie; not the new one. The new characters don’t matter, and the moment where three generations of Strode women finally confront Michael Myers would have had a much greater impact had the first two acts of the movie actually focused on Laurie’s daughter and granddaughter. 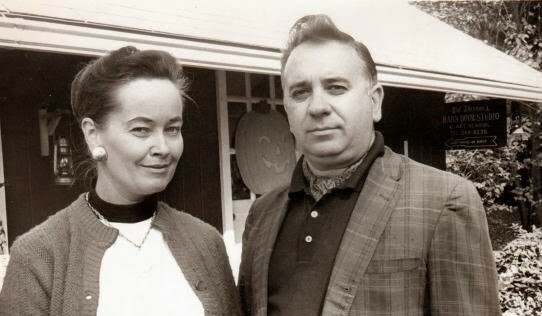 Since this project’s inception, the filmmakers repeatedly stated that their intention was to trim away all of the mistakes of the various Halloween sequels and make a direct follow-up to the 1978 film. This mission also inspired the controversial decision to ignore Carpenter’s own direct sequel, and to take with it the mythology surrounding the sibling bond between Laurie and Michael, and Myers’ nearly-supernatural killing machine qualities. The movie was supposed to be a return of The Shape of 1978, the mysterious stalker in the dark who sets his sights on his targets and racks up his meager-but-meaningful body count with precision and dedication. However, the Michael Myers of this film lacks all of the original qualities that the retcon was intended to support. Yes, the exclusion of Halloween II from the timeline means that Laurie and her friends were random targets in the original film, but after Michael set his sights on the gang his actions were anything but random. He followed them around in broad daylight, he lurked in the shadows of their personal spaces, and they became his sole focus with no collateral damage. The 2018 film makes it a point to mention the fact that his original number of victims was just five, and one of the movie’s forgettably hip and self-aware teens points out the fact that it wasn’t too great of a tragedy from the perspective of today’s audience, who are used to mass tragedies on cable news on almost a daily basis. However, the Michael Myers of 2018 follows none of these rules. He doesn’t exactly stalk anyone, and he racks up a body count that would make Rob Zombie blush by the time Halloween night barely begins. It’s as if the filmmakers were so focused on the 1978 concept that the killings were random that the forgot that it was actually the selections which were random… everything after Michael’s selection was disciplined and exact (In fact, no one else in the neighborhood even knew it was happening!). New Michael Myers has more in common with Jason Voorhees than his former self as he randomly and indiscriminately murders anyone nearby with blunt force and jarring speed. He enters peoples’ houses and kills them for no reason, and as he gets closer to Andi Matichak’s Allyson (Laurie Strode’s granddaughter) by picking off her circle of friends, its unlikely that he’s even aware of the connection. Frankly, he doesn’t even seem all that interested in Laurie Strode, and it’s actually another character who delivers him to her bunker for a paint-by-numbers final showdown. While the filmmakers had a responsibility to stick to the core elements of 1978 Michael Myers, they most certainly had more creative leeway to write the 40-years wiser Laurie Strode in any way they saw fit. What they arrived on was a Sarah Connor-esque survivor, a woman who dedicated her life to an excessive level of survivalism and combat training in the event that she one day might square off with the boogeyman again. 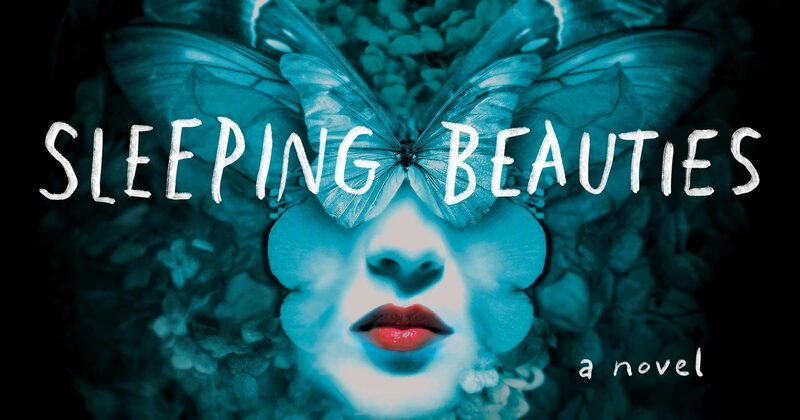 This behavior has taken the greatest toll on her daughter, Karen (Judy Greer), who essentially ignores her mother right up until she’s forced to confront her past. Curtis’ greatest moments in the film are her scenes with Andi Matichak, and their grandmother/grandmother bond is easily the most developed relationship in the movie. This is in stark contrast to the original film- where adults were completely absent from the picture- but it is this movie’s greatest attempt at showcasing a family linked by DNA and shared trauma. 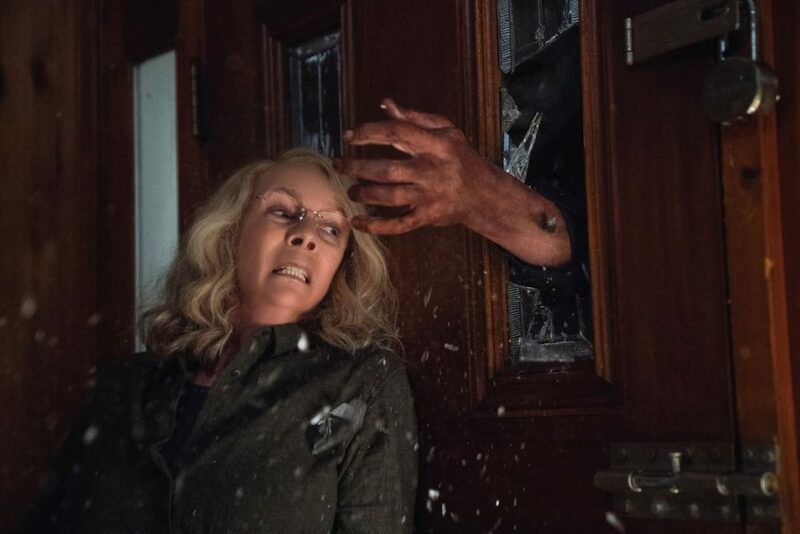 Curtis’ acting is top-notch as always, but she isn’t given much to work with in Halloween (2018). Her screen time is more limited than I expected, and her lack of scenes forces her to tell us about most of her motivations instead of actually showing them (at one point she shares that she’s always wished Michael would escape the asylum so she could kill him; and that concept could have played out much more interestingly had it been built over the course of the narrative rather than simply stated in a throwaway line). However, there are subtleties to her performance- especially in her earlier scenes- which make Laurie a three-dimensional character all these years later. Her obvious strength is highlighted by accents of fragility and insecurities. 2018 Laurie Strode feels fear, but her training allows her to take control of the situation like never before. In the first movie, she gives orders to frightened children and they all make it out alive; in this one, she’s directly responsible for the safety of her loved ones, and frightened adults prove to be much harder to motivate than children. Jamie Lee Curtis clearly took her role seriously and she brings her best to all of her scenes. Had she been given more scenes and had her relationships with the other characters had more chances to breathe and grow, we could have ended up with a very different movie. Just as how nearly all of the scenes not featuring Laurie Strode were inconsequential to the film, the characters featured in those scenes were equally unremarkable. There are simply too many characters in this movie to do any of them justice. Because this movie tracks three generations of a family, there are more supporting characters, friends, and family members to keep track of. This problem is made worse by the number of secondary characters who become little more than archetypes by the moment of their respective deaths. In fact, it doesn’t even seem like any of the Strode women care when Karen’s husband/Allyson’s dad (played by Toby Huss) turns up dead. They don’t have time to because- ready or not- the movie is barreling towards its fiery conclusion. Will Patton plays a veteran police officer who supposedly apprehended Myers off screen back in ’78 and convinced Dr. Loomis not to kill him. Now, he just sort of floats from crime scene to crime scene until he’s unceremoniously killed off in the greatest “jump the shark” moment of the entire film. Haluk Bilginer plays Myers’ doctor, and Laurie tells him he’s the “new Dr. Loomis” in case the audience couldn’t figure it out. Oh, and his name is Dr. Sartain… which is two letters too many for the exact spelling of Rob Zombie’s Dr. Satan from House of 1000 Corpses. Could he possibly have ulterior movies? If his name, visage, and ominous accent doesn’t give it away, I don’t know what would! I’ve brought up Rob Zombie twice now because it’s become so chic to bash the vulgarities an excessive violence of his 2007 and 2009 remake series. Given those movies’ toxic effect on the franchise and the filmmakers’ determined efforts to forget the past, I figured they wouldn’t touch anything remotely similar to Zombie’s movie moments. But this new movie features a bloody ordeal in a gas station bathroom, a Halloween dance party chock full of revealing costumes, and a much more savage Michael Myers than what we saw in 1978. There’s even enough foul language to make this movie feel like less than the spiritual successor to the original film, and it seemed odd to me that the new movie would tread this kind of ground after the Zombie movies essentially halted the franchise for almost a decade. The new Myers is less disciplined and more gore-obsessed, somehow finding the time to turn his victims into creepy Halloween decorations after almost every kill. While Green does show restraint in how he shoots many of Myers’ most grotesque moments out of frame, there’s almost always a grisly aftermath shot which negates any of that initial restraint. Because many of these characters are often reduced to a shocking face of death after a shallow introduction, none of this violence resonates the way it did when Michael Myers began to pick off the characters we spent 90 minutes getting to know in 1978. The level of violence is probably too much for die-hard fans of the original, and probably not enough for contemporary gore hounds (because it’s almost always exclusively shown after the fact), and it’s another example of the filmmakers attempting to cater to everyone while accidentally pleasing no one. I know we’re supposed to pretend it doesn’t exist now, but Jamie Lee Curtis already returned to Halloween as Laurie Strode in 1998’s Halloween H20: 20 Years Later. The movie obviously tried to cash in on the successes of the popular teen slashers of the decade, and it certainly wasn’t the greatest Halloween movie ever made. 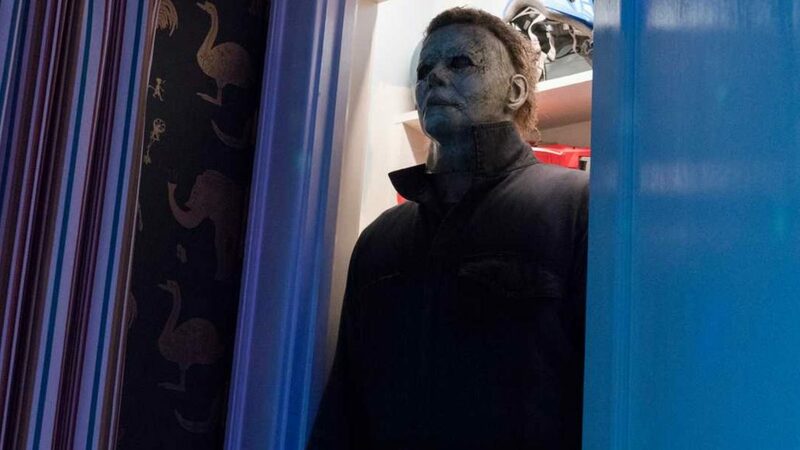 But as I was watching Halloween (2018), I couldn’t help but think about how much tighter H20‘s story was and how it much more effectively brought Laurie Strode justice. In that film, Laurie is the traumatized survivor with a rocky love life and more than enough personality disorders… much like how she’s written in this year’s film. The difference is that H20 treats Laurie Strode as the main character, and the audience is given a much clearer vision of who she is twenty years after the initial tragedy. Her son and his friends become the focal point as the film ushers in a new generation for Michael to stalk, but the movie consistently builds towards a meaningful showdown between Laurie and Michael. To be fair, H20 had the luxury of balancing two generations of family instead of three, but that movie is proof that we should expect more of Halloween (2018) than it was ultimately able to provide. 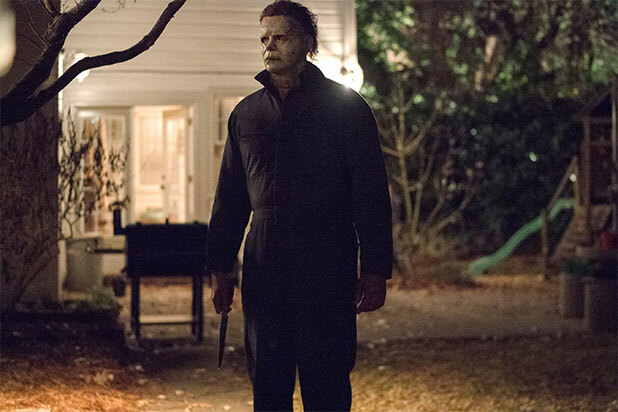 John Carpenter crafted new music for Halloween (2018) which often features variations of the classic and unforgettable tones of his original masterpiece. The trailer for the film showcases the music as a constant, overpowering presence, and it should have been one of the highlights of the movie itself. 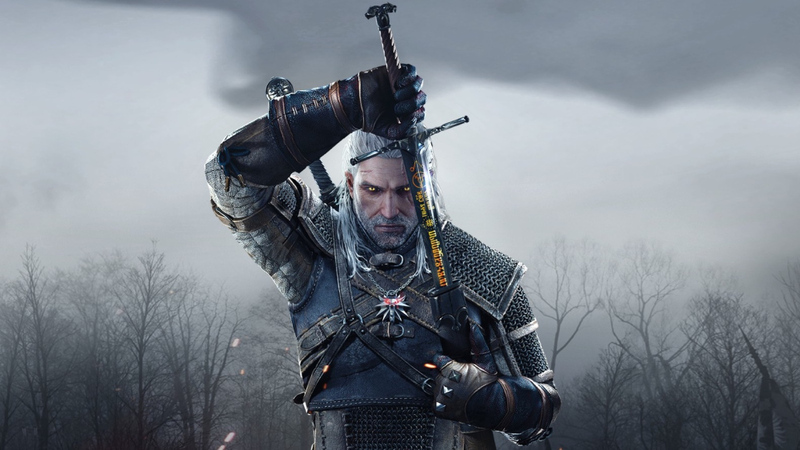 Unfortunately, the main themes are often revealed in short bursts, played at a low level, or slowed down to an almost-annoying tempo. Even when the climax rolls on in full force, we’re only treated to auditory echoes of the past rather than an extended, full blown revival of that iconic score. The only additions to the soundtrack are generic horror movie tones and a couple of strange moments of distorted guitar; and the film’s refusal to indulge the audience with the driving soundscape of the original felt eerily parallel to the moments where the movie itself misses the mark.